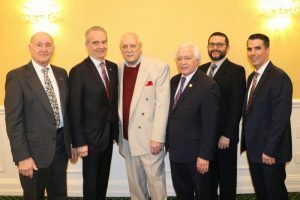 On January 25, Long Island Metro Business Action (LIMBA) hosted a breakfast forum with John Cameron, Chairman of the Long Island Regional Planning Council, which was co-sponsored by Twomey Latham. Partners Patrick Fife, Reza Ebrahimi, and Janice Snead attended the event. 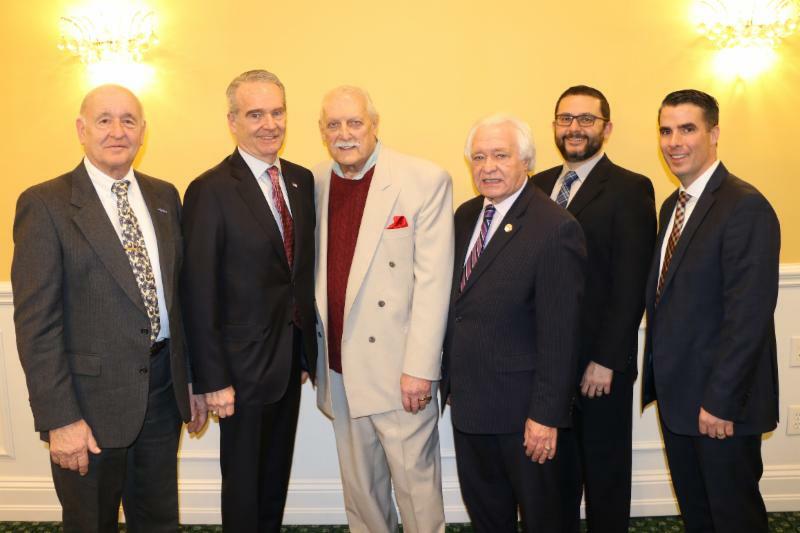 The future of Long Island’s infrastructure and sustainability were discussed. “Long Island has many challenges, but there are also many opportunities,” said Mr. Cameron. The Long Island Regional Planning Council serves as the Island’s chief planner and a leading advocate for issues affecting the economic, environmental, and social well-being of the Island’s businesses, institutions and its 3 million residents. Pictured from left to right: Ken Nevor (LIMBA), John Cameron (Chairman, LI Regional Planning Council), Ernie Fazio (LIMBA), Bill Miller (LIMBA), and Twomey Latham Partners Reza Ebrahimi and Patrick Fife.